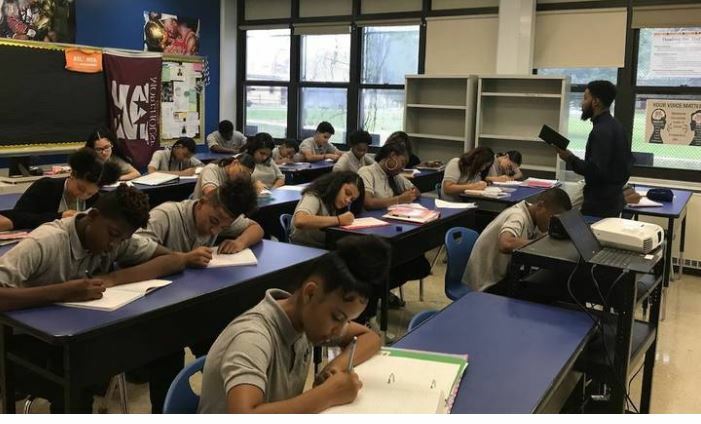 CAMDEN, NJ— Mastery High School of Camden has started a new Honors Academy, and will hold interviews for eighth-grade students who wish to enter the academy beginning in April. The Honors Academy serves as an educational boot camp for students to take Advanced Placement courses starting their freshman year. It places students on a path to earn enough college credits to graduate with an associate degree and high school diploma at the same time through the high school’s dual enrollment program. The dual enrollment program allows students in 11th grade to start taking college courses at Camden County College. Students spend part of their day at the high school and the remainder at the college. Fifty of the 150 freshmen at Mastery High School of Camden are currently enrolled in the pilot for the Honors Academy. School leaders selected students based on their academic performance prior to entering high school. In addition to having great grades and test scores, current eighth-graders who want to participate in the competitive program next year must go through an interview process, along with their parents or guardians. Interviews begin in April. When the dual enrollment students graduate, they will have earned enough college credits to earn an associate degree at the same time they receive their high school diploma. Mastery covers the tuition fee and books for each student. The students in the dual enrollment program are in slightly smaller classes which parents and students say they enjoy. Eight students are on track to complete the dual enrollment program this year and earn both a high school diploma and an associate degree. In addition to the Honors Academy and dual enrollment, Mastery High School of Camden prepares students for success after graduation in several other ways including ACT prep, internships for all 10th graders and college advising.